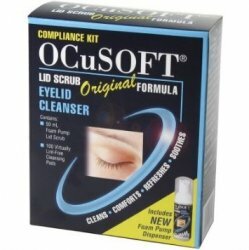 Ocusoft Eye Lid Scrub Foam Compliance Kit 50 Ml. Item Number. : DB10012750. 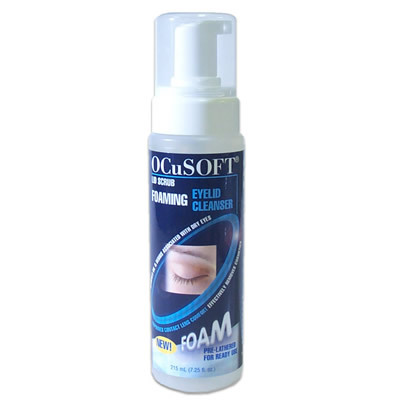 Ocusoft Eye Lid Scrub Foam Original 7.2 Oz. Item Number. : DC3739851/DB10000997. Ocusoft Eye Lid Scrub Pad 30 Ct.
Ocusoft Eye Lid Scrub Pad 30 Ct. Item Number. 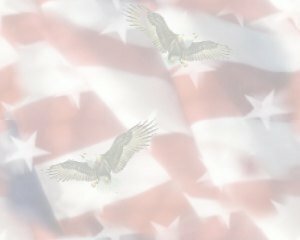 : DC1606458/DB10012778. Ocusoft Eye Lid Scrub Plus Pad 30 Ct.
Ocusoft Eye Lid Scrub Plus Pad 30 Ct. Item Number. : DC3980281/DB10043306. 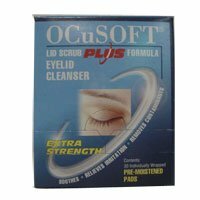 Ocusoft Tears Again Advanced Eyelid Spray 15 Ml. Item Number. :C4091609/B10088396.